While sales during the month also saw a decline of 3.6 per cent to 1.89 million units in February this year compared to 1.96 million units in the same month a year ago, cumulative production and sales during April to February of 2018-19 has seen a growth compared to the same period last year. During the 11 months ended February 28, 2019, total passenger vehicle production grew 7.7 per cent to 26.6 million units compared to 24.7 million units during the same period of the previous financial year. Cumulative domestic sales also saw a growth of 6.5 per cent to 22.8 million units compared to 21.4 million units in the corresponding period last year, according to latest data from Society of Indian Automobile Manufacturers (Siam), the apex body representing all major vehicle and vehicular engine manufacturers in India. This comparative growth in sales is despite reports that vehicle sales during the festival season of 2018 was lesser than industry expectations and the sales numbers continued to show a downward trend mostly. Growth in sales during the 11 months was evident, though marginally, across passenger cars, utility vehicles, scooter and motorcycle segments and the mopeds segment in the domestic market. However, on a year-on-year monthly volume, domestic sales declined marginally in passenger cars (from 179,122 units in February 2018 to 171,372 units in February 2019), scooters and scooterettes (560,653 to 492,584) and motorcycles (1.05 million to 1.04 million) while volumes increased in utility vehicles (80,271 to 83,245 units) and mopeds (71,931 to 75,001 units) during the period. At a time when reports say that the inventory levels in the retail segment are high, production of passenger cars (from 240,195 units in February last year to 218,175 units in February 2019), utility vehicles (99,629 to 96,542 units) scooters and scooterettes (613,797 to 583,451 units), and mopeds (77,872 to 75,292 units) have seen a decline. Production of motorcycles increased by around 1,000 units to 1.28 million units in February this year compared to the same month last year. On a cumulative basis, between the period of April and February, except for passenger cars, the other sectors saw production rise compared to a year-ago period. With higher inventory and a blip, production is expected to see a rationalisation, according to experts. “Although the government has announced the implementation FAME II incentives for electric vehicles, the overall sentiment of uncertainty for the short term has taken precedence. Vehicle manufacturer Maruti Suzuki has revised growth forecasts and reduced targets. 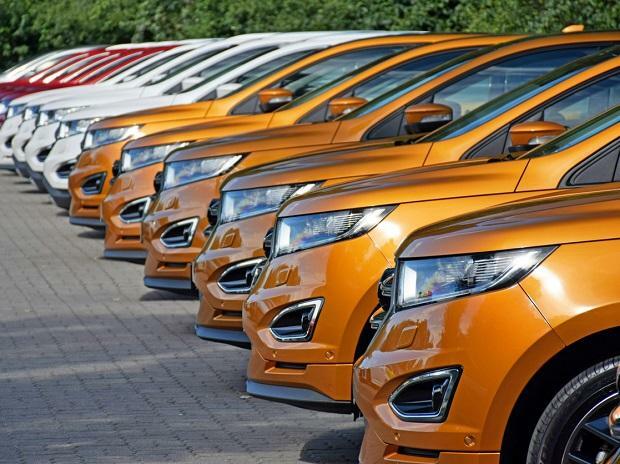 This, clearly shows that vehicle manufacturers are concerned about the monthly sales during the next three months from April to June 2019,” said Kaushik Madhavan, vice-president, mobility practice, Frost & Sullivan. “Additionally, dealers are left with large volumes of unsold stock since the last six months, which in turn is putting pressure on their profitability and liquidity. Dealers are now pushing back on accepting fresh stock from vehicle manufacturers, forcing them to balance volumes by rationalising production. Inventory management and liquidation are expected to be the primary goals for dealers across passenger vehicles and two-wheelers in India over the next 2-3 months,” said Madhavan.